Do You Choke in Tournaments? 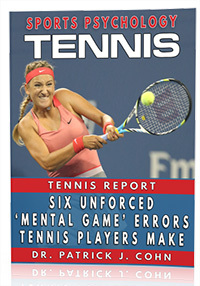 In this week’s tennis psychology podcast, mental game of tennis expert, Dr. Patrick Cohn answers a question from a sports parent whose daughter performs well in practice, but chokes in tournaments. He wants to know which tennis psychology audio/workbook program would help her. 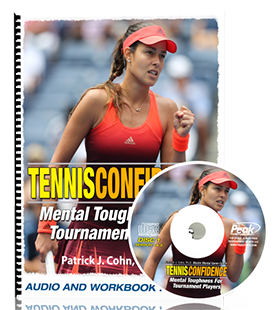 Listen to this month’s tennis psychbology podcast to learn how to improve your performance in tennis and other mental game barriers that limit your performance.